If you are planning a wedding in Las Vegas, you may not be aware of all the opportunities that you have available to you. Here are ten interesting Las Vegas wedding options. 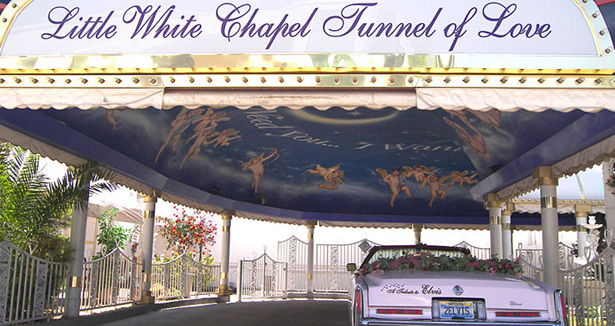 Although they may not be as famous as the many wedding chapels Las Vegas has, they will certainly leave the same lasting impression. 1. Helicopter Weddings – Many Las Vegas wedding chapels, as well as Papillon Helicopter Tours, offer helicopter weddings. The ceremony can take place as you fly above the glitz and glamour of the Las Vegas Strip or you have the option of flying to the Grand Canyon and saying your nuptials there. 2. Red Rock Canyon – Many wedding locations offer wedding packages at this canyon location. Red Rock Canyon is located just west of Las Vegas and offers stunning scenery making it an ideal site for wedding ceremonies. 3. Yacht Weddings – You can have your wedding on a 60 foot private yacht as it floats around on beautiful Lake Las Vegas. 4. Gondola Weddings – Weddings can also take place on a gondola at Lake Las Vegas. The Venetian offers gondola weddings as well. They take place on a canal at the Venice themed hotel. 5. Mount Charleston – Mount Charleston is located less than an hour from the Las Vegas Strip. It is a popular Las Vegas getaway, especially in the summer months when temperatures are usually thirty degrees cooler than in the Valley. The hotel and lodge up on the mountain both offer wedding packages. 6. Lake Mead Weddings – You can get married on a two level Mississippi style paddlewheel boat while it floats around on this famous man made lake. 7. Stratosphere Roller Coaster – If you are really adventurous, say I do on this roller coaster which is located near the top of an 1100 foot tower. 8. Bonnie Springs Old Nevada – This replica of an 1880’s Old West mining town is located just west of Las Vegas, in the Red Rock Canyon area. The town includes a western style chapel where ceremonies can be performed. BBQ dinners are available for wedding receptions. 9. The famous Las Vegas sign – A few Las Vegas chapels can arrange a wedding ceremony at this famous Las Vegas landmark. 10. Hot Air Balloon Weddings – What could be more cool than becoming husband and wife as you soar above the earth in a hot air balloon? So if you want to get married in Las Vegas, know that you are not limited to having a ceremony in a wedding chapel. Las Vegas wedding locations provide plenty of opportunities to let your imagination run wild when planning your big day.